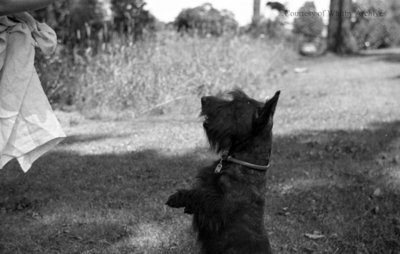 A black and white negative of a black dog sitting on its hind legs looking to the left. The negative envelope refers to this dog as Miss. Phillip's dog. Miss. Phillip's Dog, c.1937, Marjorie Ruddy. Whitby Archives A2013_040_176D.